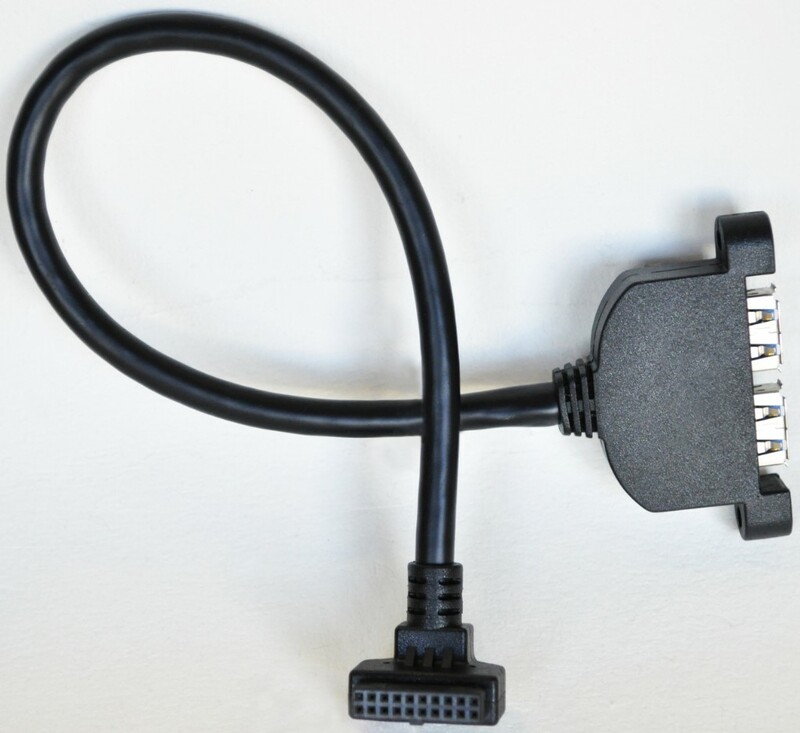 Product Change Notification - PCN #: CTIU-00008 - Connect Tech Inc.
Other ☑ Products shipped after the date of this PCN release will have the USB 3.0 optimization applied. The Connect Tech Inc. (CTI) products listed above all use USB 3.0 re-drivers for each of the USB 3.0 ports present on that product. Using USB 3.0 compliance testing along with several functional tests the re-driver settings have been optimized on each product to ensure robust operation of the USB 3.0 interfaces across multiple applications. These improvements should not have any adverse effects on existing systems. If you discover that you have USB 3.0 issues with CTI products please contact our customer support at support@connecttech.com with the relevant details of your issue. 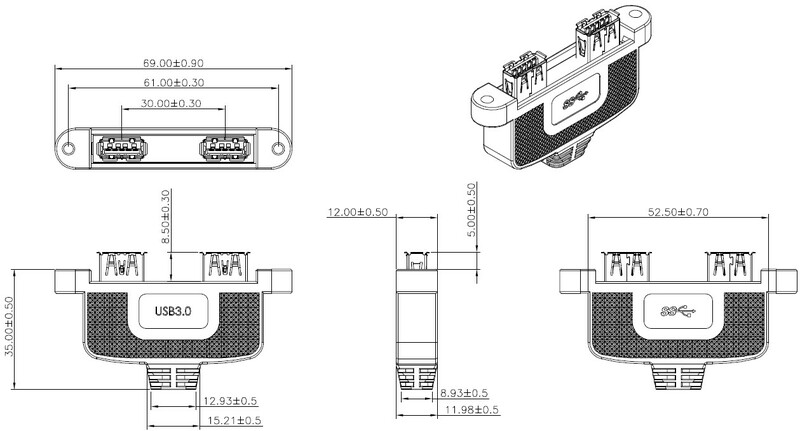 As part of the USB 3.0 optimization of CTI products, CTI no longer recommends CBG131 and CBG133 for new designs. CTI will continue to offer and support these cables for existing systems. 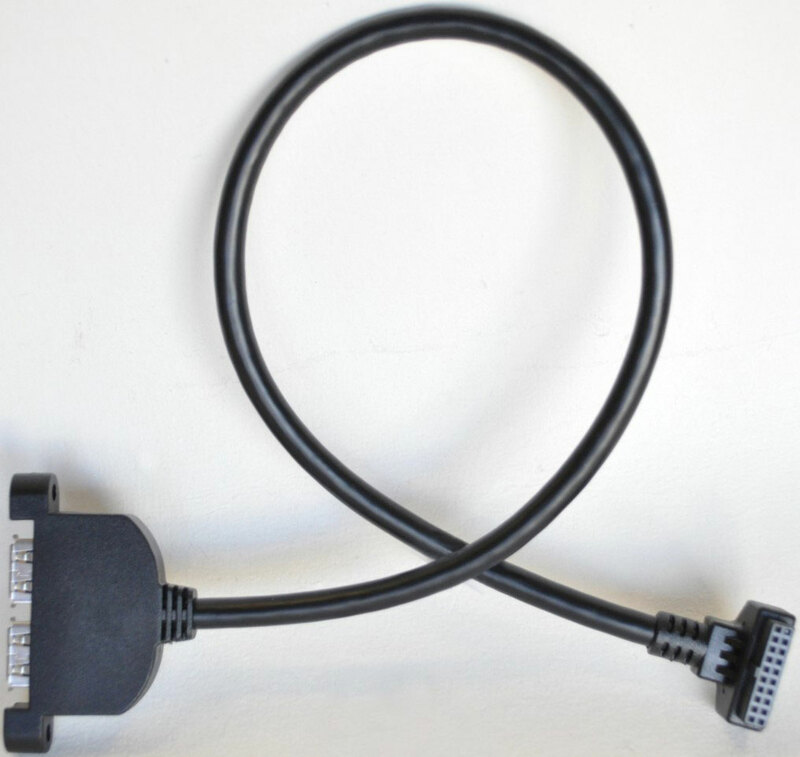 See cable images below; CBG131 is on the left and CBG133 is on the right. For new designs CTI recommends CBG160, CBG287, and CBG288. CBG160 on the left. CBG287 on the right. Both right-angle PCB connections but one exits 180 degrees in the opposite direction of the other. CBG288 shown below with vertical connection to the PCB connector. 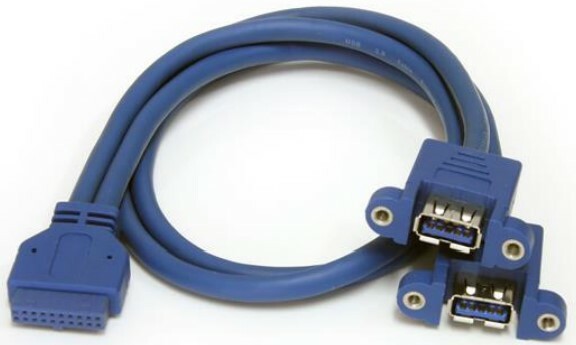 For more information regarding these cables please read further in this document and/or contact our sales department at sales@connecttech.com. The changes listed in Section 2 should have a positive effect on the overall quality and reliability of the USB 3.0 ports of the listed Connect Tech products. USB 3.0 ports on the listed Connect Tech Inc. board level products have had their default USB 3.0 re-driver settings optimized based on a wide range of use-cases and applications. These changes should have a positive effect on the operation of the USB 3.0 interfaces. If you have an existing product in which you have characterized the USB 3.0 channels it is recommended that you conduct characterization of these channels again with the post ECN optimized products. Cable colour, length and panel mount geometries are different between the old and new cables. See below for more information. These changes take effect immediately open the release of this PCN and only products with the USB 3.0 optimization will be delivered. This does not include products that fall under the RMA process.